1.Use HSS blade with slow rotating speed. Suitable for cutting different materials without burrs. 3.Controlled by PLC and switches with simple operation. 4.Have three feeding time which can have a feeding length times longer. 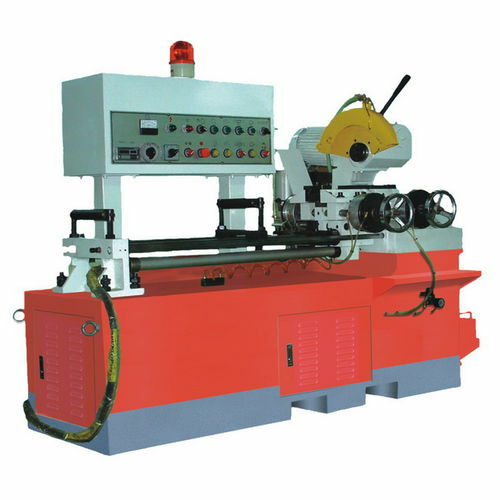 5.Use pole changing motor with two speeds which can meet the requirement of different metallic material cutting. 6.No material stop function and Quantity finish stop function. Convenient management. 7.Strong water circulation coolion system insures life-span of saw blade.